New Liturgical Movement: The Ordinariate Office - A Wonderful Gift For Lay People and a Hope for the Transformation of Western Culture? The Ordinariate Office - A Wonderful Gift For Lay People and a Hope for the Transformation of Western Culture? I am a great enthusiast for the Liturgy of the Hours. It holds a key, I believe, to the evangelization of the culture. (If you want to know my arguments, I have included them in both books, the Little Oratory and the Way of Beauty). Whatever our thoughts on the appropriateness of the vernacular in the Mass, I do think that the availability of the Liturgy of the Hours in the vernacular is one great gift of the Council. I am not a Latin scholar, and certainly in my personal reading, in order to pray the psalms properly I need to be able to understand the text as I read it. Reading or singing Latin while looking across the page at a translation on a regular daily basis does not work for me. The Mass is Latin does not present the same difficulty for me - the bulk of it is repeated and so with relatively little reference to additional texts I can participate. I have often wondered if this question of language is why some traditionalists are not enthusiastic about the Liturgy of the Hours - tending to promote a piety that excludes it. Certainly, some I have met are reluctant to acknowledge any legitimate case for the vernacular in the liturgy, for fear that it would undermine the argument for an exclusively Latin Mass. A piety focused on the Mass and the Rosary is wonderful, of course, but one oriented to the Mass and the Liturgy of the Hours is, I suggest, even better, and for me that means going to the English for the latter. 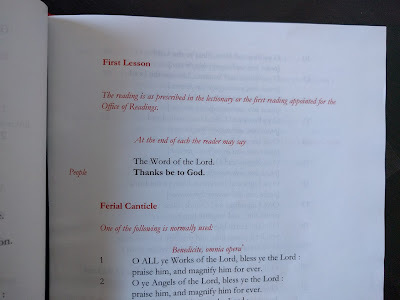 Ever since Pope Emeritus Benedict created the Anglican Ordinariates, I have felt that they have given the move for greater dignity and beauty in the liturgy in English a huge boost. I wrote about the general principle of this when Pope Francis strengthened the mission of the Ordinariate in an article called Has Pope Francis Saved Western Culture? It has taken time, quite reasonably so, for the approved and final versions for the texts to come forth. Now that the texts have been set for the Mass, I am hoping that we will see a final version of the Office in the US very soon. 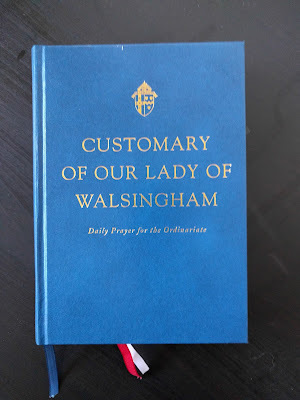 As a preview I use the version produced for England and Wales, which is in the Customary of Our Lady of Walsingham. It has been recently approved for continued use in England and Wales, as I understand it. It was difficult to get hold of over here. I tried to order it from several places and it was always out of stock. (I couldn’t afford to have it sent from England). In the end I gave up, and then about six months later, out of the blue a copy arrived in the post; I have no idea who it was who finally sent it to me. The Customary follows the general scheme recommended for the Ordinariate; you can read this at the bottom of this article, it is very short and simple. In essence, Morning Prayer is like a merging of the Matins (the Office of Readings) and Lauds. I am wondering if this is what the old Anglican Office of Mattins always was. The morning readings correspond exactly to those of the Office of Readings in the Roman Rite, with some approved alternatives for the second reading for English readers. Other than the psalms, there is a traditional hymn, an Old Testament canticle or the Te Deum, depending on the day, and structured prayers. Similarly, Evening Prayer, like Choral Evensong, looks a bit like a running together of Vespers and Compline in form. So we have psalms, traditional hymn, readings, both the Magnificat and the Nunc Dimittis, and again structured prayers. First, convenience and simplicity: the psalm cycle is designed such that it is possible to sing the whole Office with just two Offices in the day - the hybrid Morning and Evening Prayer which allow us, one might say, to sing four Offices as two, and to sing the whole psalter in the course of the monthly psalm cycle. This means that it really is the Office for those who do not have many hours in each day to devote to singing the psalms. However, for those who do have more time, and wish to add more Offices in the day from time to time, there are simple options to add Prime (yes Prime! ), Terce, Sext, None and Compline. Second, as I mentioned, it has the full psalter, all 150 psalms, in its cycle. I am not aware of another version approved for use in English that has this. 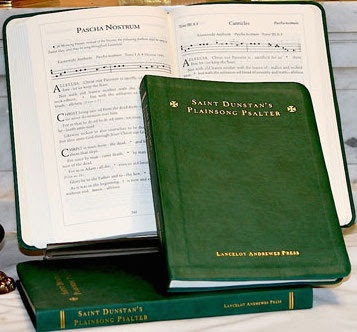 The other vernacular option is an approved translation of the Paul VI Psalter, in which even if all the Offices are sung (a minimum of five in a day), you will still not sing the whole Psalter, since the three imprecatory psalms are omitted altogether, and many others have had verses removed. According to my count, 24 psalms that are included in the Paul VI Psalter are incomplete and have missing texts. 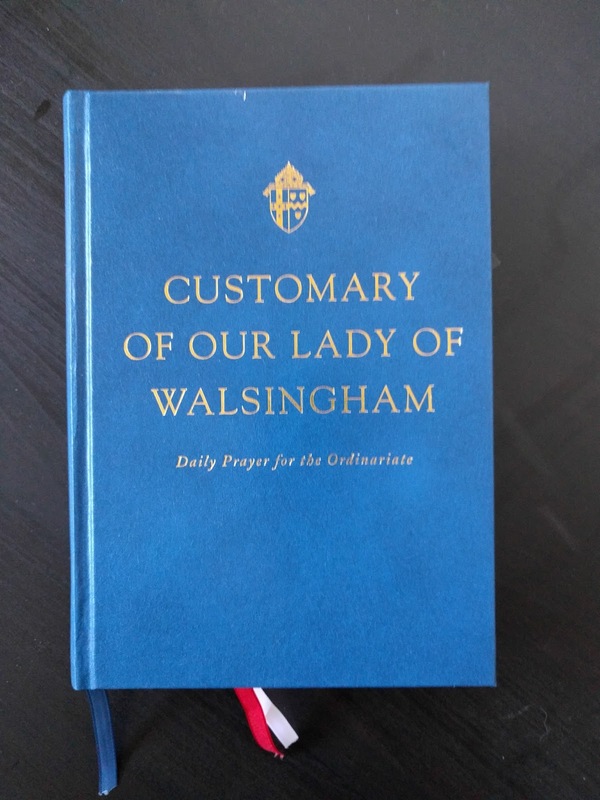 I am happy that now the Church has decided in her wisdom to allow for a translation of the full Psalter to be available for praying in the Liturgy of the Hours. (I wrote about this in more detail in the past, here - Where Have All the *! *?ing Psalms Gone?). Third is beauty. I love the approved translation of the psalms that the Anglican Ordinariate uses, which is a form of the Coverdale Psalter. I have to say I am not negative about the Grail translation either, but I do find the Coverdale Psalter especially good. It is has an elegant, poetic, Shakespearean feel to it, but is nevertheless accessible. I had have had to look up the meaning of the occasional word, (froward and peradventure for example) but not so often that I lose the flow of text as I sing or read it. (Just fyi, I am not the sort of person who finds the actual Shakespeare easy to understand at all. If I attend a performance of even a top quality companies - such as the Royal Shakespeare Company - I always have to buy a program with a one-page synopsis of the plot, otherwise I lose track of what on earth is going on!) I think that if this version of the psalms was sung in the domestic church of the Catholic family, the impact it would have on the formation of children as they growlistening to, reading and praying such texts would be profound. There is of course a centuries old tradition of chanting these psalms within the Anglican church, and this is now available to us. The text is set out with traditional chant in mind - with couplets. Again, this is one of the great drawbacks of the American version, at least, of the Paul VI Psalter; it’s almost as if it was set out deliberately to make any form of singing that might be close to a traditional chant very difficult (the British version is better in this respect). 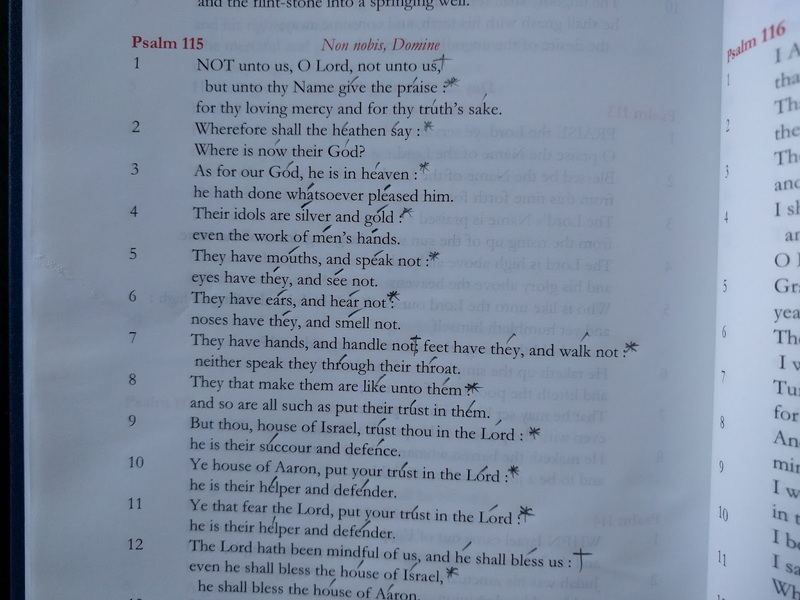 To indicate how adaptable this text is for singing, when I sing the Office, I use the Coverdale Psalter set to psalm tones based upon traditional chant that we used in the Office when I was teaching at Thomas More College of Liberal Arts in New Hampshire. 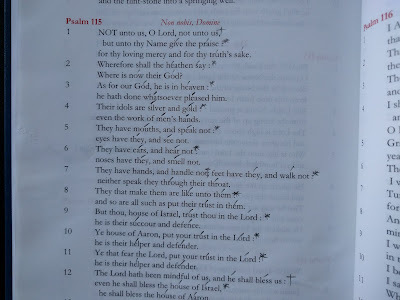 I use these because if the pointing is done according to the natural emphasis of speech, regardless of which tone is sung, it is designed to match this pointing pattern, and so every psalm tone can be sung to any psalm. As a result, you don’t need to have a full repertoire of tones in order to be able to sing the whole Office, but it does mean that as your repertoire of tones increases, you can apply them to any psalm. The setting of this Psalter means that with a quick exercise in pointing, with a pencil, you can sing it with your family. For more information on these psalm tones, you can follow the link here. I’m keeping my fingers crossed that something similar and easily available will be produced here. Note, you don’t have to be a member of the Ordinariate to legitimately sing the Office. I mention this because after Leila Lawler and I first suggested, in our book the Little Oratory, that readers think about this as an option at home, some people thought that we were suggesting that people who were already part of the Catholic Church should leave their parishes and become official members of Ordinariate parishes. We were not! As an interim that isn't as expensive or difficult to get hold of in the US as the Customary, some might like to use the St Dunstan's Psalter, which is not produced by the Ordinariate, but has the same psalm cycle and the Coverdale translation and other approved translations for the canticles. You could combine this with the readings from the lectionary for the Office of Readings and Evening Prayer for the Paul VI psalter, by getting them online your smart phone at Universalis. Below is a copy of the CDF approved outline for the layout of Morning and Evening Prayer for the Personal Ordinariates. • Required elements appear in bold, while elements in [squared brackets] are occasional or optional. • The Old and New Testament Lessons are to be taken from the Revised Standard Version of the Bible, Catholic Edition. • The Collect of the Day should correspond to the relevant Collect in Divine Worship: The Missal. • If the Litany is to be recited at Morning or Evening Prayer, it is to be taken from Divine Worship: The Missal (Appendix 8). • The Invitatory may be accompanied by seasonal antiphons. • In place of one of the scriptural Lessons, a non-scriptural reading drawn from the 2nd Reading from the Office of Readings in the Liturgy of the Hours may be included. Other non-scriptural readings may be added, but may not replace one of the scriptural Lessons. • Night Prayer (Compline) may be recited apart from Evening Prayer, in which case the Nunc Dimittis is always included. • This Guideline does not exclude the addition of an optional, supplemental provision for the Lesser Hours (Prime, Terce, Sext, None, Compline).